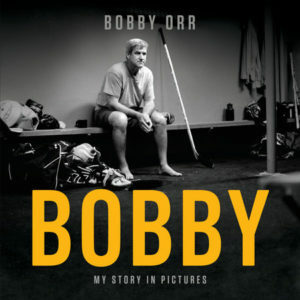 The Doug & Arva Orr Gift Shop was named in honor of Bobby Orr’s parents. 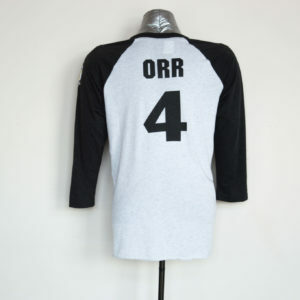 The Gift Shop carries a range of clothing for men, women, and children as well as a wide selection of gift items. 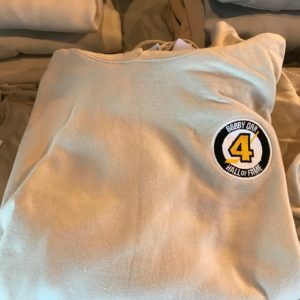 You will find everything from jackets, golf shirts, hats, sweatshirts and t-shirts, to books, DVD’s, mugs, hockey pucks and more. 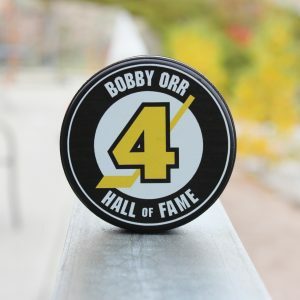 We also carry authentic Bobby Orr autographed merchandise including original Boston Bruins’ jerseys and various sizes of “The Goal” portraits. Each of these items comes with a Certificate of Authenticity. 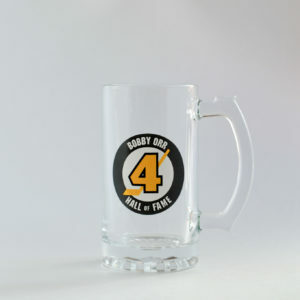 Nearly everything we carry in our Gift Shop is also available in this online store. Select a category to browse below!